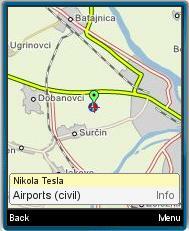 Serbiamap.Mobile is designed for browsing GPS maps and searching local data for Serbia. Allows GPS positioning (if present), but not necessary - user can simulate location and perform local search. A number of Serbian cities covered to street level.